There are those who start researching their family tree in the hopes of discovering that they are related to royalty. Others might secretly hope they are related to a famous celebrity or politician. It can be shocking to uncover an ancestor who did something that was extremely distasteful. Ben Affleck ended up being “embarrassed” by the choices of one of his ancestors. It can be troubling for a genealogist to learn that he or she is related to a person who did terrible things. Genealogists start out with a positive outlook, and it can be shocking to unintentionally uncover an ancestor who was a criminal, who abused his or her spouse or children, or who was a slaveowner. This discovery can cause a genealogist to decide not to mention that particular ancestor to anyone. It is not uncommon to feel upset after learning that an ancestor did horrible things. People sometimes feel that their family is a reflection of themselves. As such, a person might feel sad, guilty, or even embarrassed, about their “black sheep” ancestor. Those who are not famous can easily keep that particular ancestor a secret. Famous people, however, don’t have the luxury of that kind of privacy. Take, for example, the situation with Ben Affleck. He was participating in an episode of a PBS show called Finding Your Roots. The episode was titled “Roots of Freedom”. This show is one that researches the genealogy of a celebrity and then reveals (all or some) of it to the celebrity while the show is being recorded. 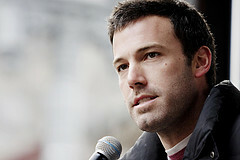 Host Henry Louis Gates revealed that Ben Affleck had an ancestor named Benjamin Cole. It turned out that Benjamin Cole was Ben Affleck’s third great-grandfather, and that he owned 25 slaves. Later on, in the same Facebook post, he wrote: I regret my initial thoughts that the issue of slavery not be included in the story. We deserve neither credit nor blame for our ancestors and the degree of interest in this story suggests that we are, as a nation, still grappling with the terrible legacy of slavery. Genealogist Genealogist Jeannine Powell (who is not involved with the Finding Your Roots show) points out that every family has skeletons somewhere. She notes that it is what people do with that information that matters. In some cases, unpleasant discoveries could help to end destructive cycles.